Every major music artist these days seems to have their own iPhone app, but the latest app from the Black Eyed Peas is like nothing you’ve ever seen before. The app (iTunes link, $2.99) lets you follow each band member’s Twitter feed with photos, pose the band members in a 3D photo shoot, and even does an augmented-reality trick (when you point the iPhone camera at the Black Eyed Peas’ latest album cover, a character representing one of the band members pops out and shows his latest Tweet in a speech balloon). But what is really original about the app, is the 360-degree music video. 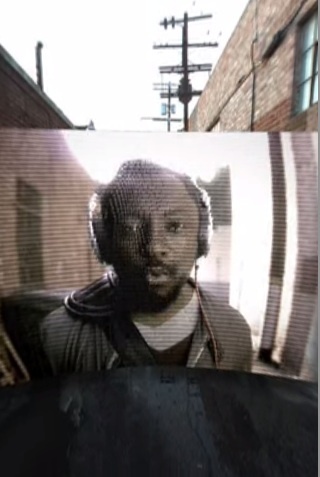 The video for the song “The Time: The Dirty Bit,” puts you in the center of a dance party with the Black Eyed Peas and a bunch of fans. (An iPhone 4 is recommended to get the full effect with no jitters). As you turn around while looking at the screen, you are surrounded by dancers and the band members. You can pan left or right, all while the video is playing. It’s like Google Street View filled with hot dancers, but in video. “You are submerged and engulfed in a party,” says will.i.am, who spoke with me recently about the app. “You as a director can focus on things behind you.” He thinks 360-degree music videos will become part of many entertainment apps. In fact, he is forming a new company called—what else?—will.i.apps with Edo Segal of Futurity Ventures to create a platform for other artists to create their own 360-degree video apps. (Another Futurity Ventures company called 3d360 developed the 3D video technology). Segal believes that apps in general will become the center of media consumption. Now he can put his fans in the music videos right alongside him, putting them in the center of his world. Here is a promotional video showing the app in action, and below are screenshots.